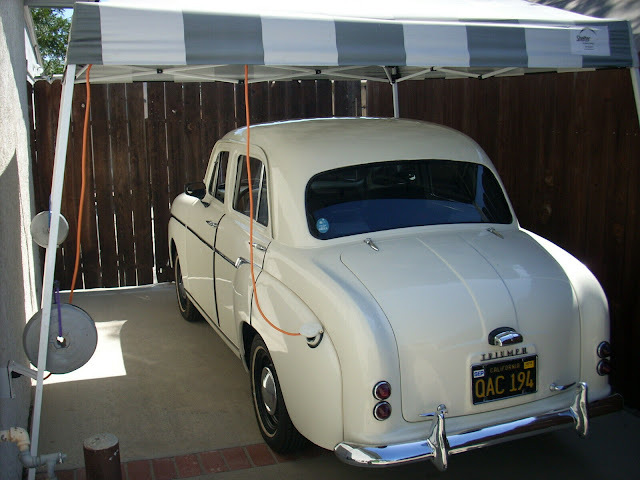 The MGA was one of the first majorly restyled cars from Morris Garages after World War II and represented a significant break from traditional open-fender styling. Today the MGA is a surprisingly affordable car for all of its sleek 1950's styling and a good example will cost you less than the rustiest Jag/Austin-Healey/Mercedes junk pile from the same era. 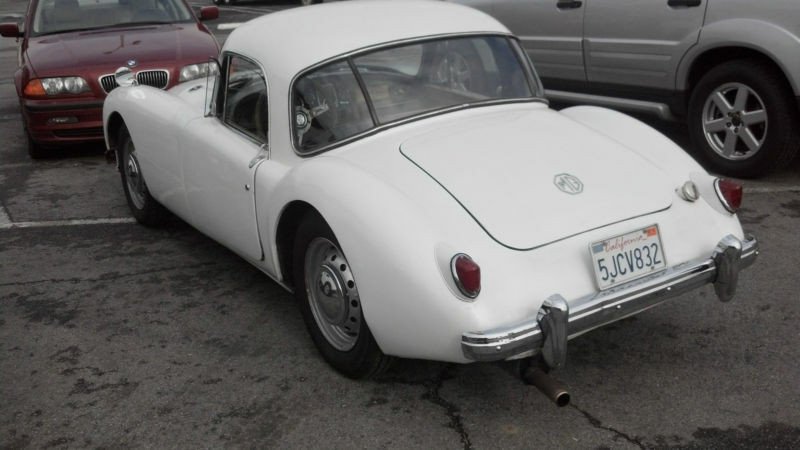 This 1958 MG MGA coupe is for sale in Monterey, CA currently bidding at $8,000 reserve-not-met with 2 days to go. A a risk of repeating ourselves, we think the MGA is a stylish coupe that trades at surprisingly low prices and won't get you laughed out of events such as the Targa California. 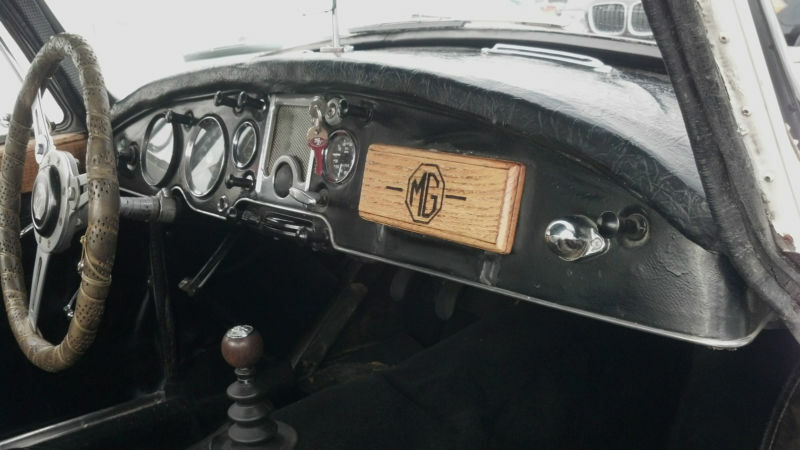 Like its predecesor the MG TF, it is a body on frame car, but offered a surprising number of technological advancements like rack-and-pinion steering, independent front and rear suspension, and a 4-speed manual gearbox. Perhaps one of the reasons this MGA is bidding for much less than the asking price of comparable cars is because of the non-original engine, or the MGA market is softer than we thought...which is a good thing because there is no reason every good looking 1950's sports car should cost as much as a mortgage payment. 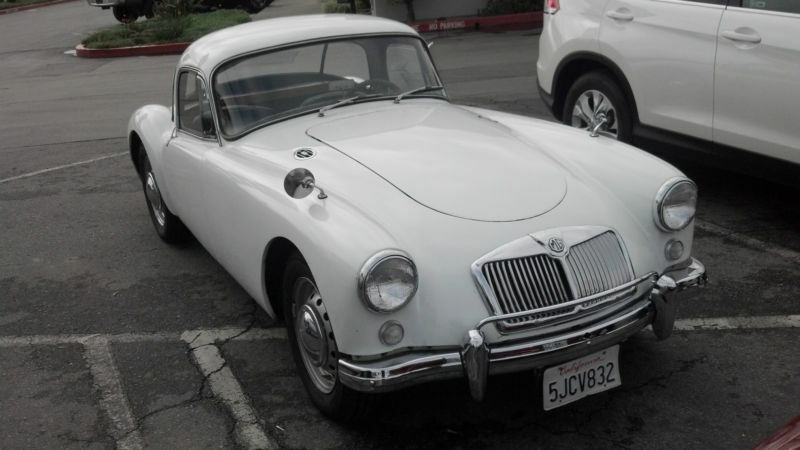 There is another MGA we had our eyes on - also a 1958 model, and offered for $15,500 buy-it-now. 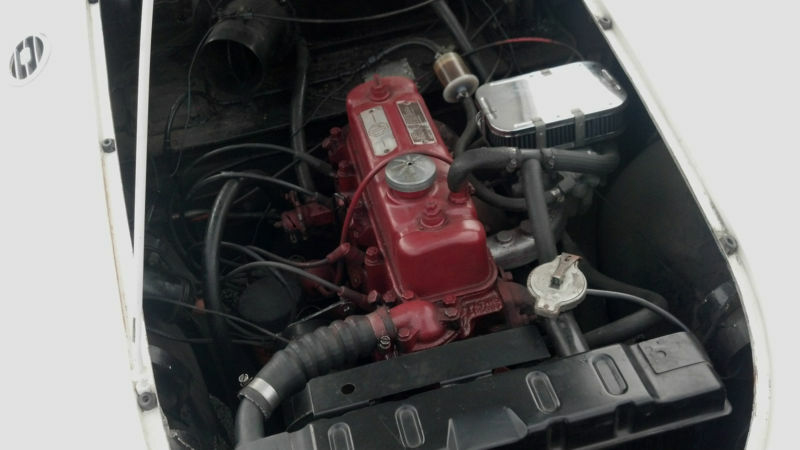 Bottom line: Both of these cars offer a rusty bucket of vintage cool for less than the price of a new Honda fit. "was spray painted free-hand by a Parkinson's patient..."
Surely you can come up with humour that doesn't come at the expense of others? That's something that most of us learned in grade school. Errr...sorry about that, we tend to get carried away with the 'humor' and forget about the collateral damage. How about we post up an article about the upcoming Cars for Dystonia and Parkinson's Research show happening in Texas and send them a check to maybe get 'karma' neutral on this one. That would certainly be a class act response on your part, even better than a mere apology! Thank you. ~ the thought crossed my mind because both my father and grandfather suffered as parkinson's victims giving me a high probability. but i'm really not offended. after all we must maintain some ability to find humor in our human condition. it broke my heart when Dad spilled his coffee as he shuffled to his chair but his willingness to chuckle and return to the pot for a refill teaches volumes. ~ my personal thanks for posting the links to Bachmann-Straus Dystonia & Parkinson's Foundation and Cars for Dystonia and Parkinson's Research web sites, a gentlemanly method to resolve a difference of opinion. Sure thing, debilitating conditions like Parkinson's are a real joke. Yuk Yuk Yuk. Pointing at a Parkinson's sufferer and saying "Hey Shaky McShakerson...." No. Not funny. The visual of a general non-descript Parkinson's sufferer trying to spraypaint on a windy day? Yes. Funny. And there's a huge difference between the two. Learn some nuance, sensitive pants. Evidently Daily Turismo doesn't agree with your logic (if you can call it that). Sensitive pants? Last time I heard that expression was in grade school. Once again proving my point about the juvenile nature of this form of humour (again, if you can call it that).